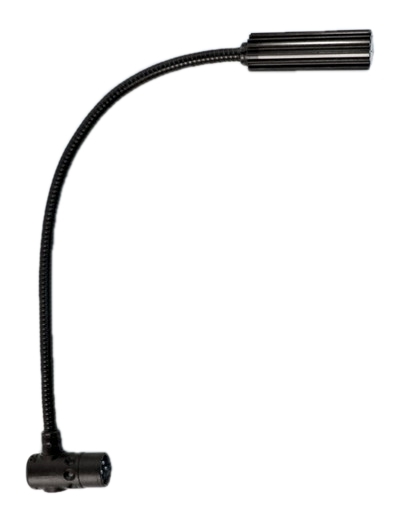 High Intensity (5-Watt halogen) gooseneck light with 3-Pin right angle XLR connector. Featuring Littlite's proprietary LLX connector. Available with six, twelve or eighteen-inch gooseneck. Note: Consoles require a dedicated 12-volt task light connector for use of this product. Light will not operate on a phantom powered mic input! (12" gooseneck pictured) Please check your owner's manual for power compatibility before connecting a task light to your console.